Steven (Chicagoland, United States) on 27 May 2010 in Cityscape & Urban and Portfolio. 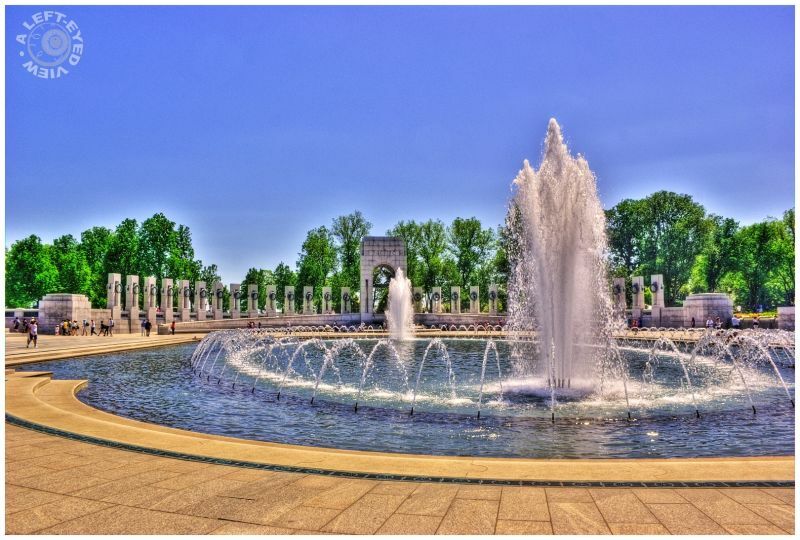 Looking across the fountain basin of the World War II memorial in Washington, DC toward the Pacific pavilion, which is one of two 43-foot pavilions that serve as markers and entries on the north and south ends of the plaza. Great view and great colors. Eyecatching tone mapping. Beautifully framed and processed ! Nice water shot, Steven. Well-processed. The processing is very effective, I like the composition and waterfall. This seems to suit the Photomatix treatment very nicely, which is surprising considering the sky offers so little help. Superb composition with a very good framing. Have a lovely afternoon Steven.